Johnny Depp: 'The Lone Ranger' Surprise Screening Appearance! Johnny Depp flashes a smile while making a surprise visit at a screening of his latest flick The Lone Ranger held at Carmike Cinemas on Friday (June 21) in Lawton, Okla. The 50-year-old actor was seen walking the red carpet with his adopted Comanche mother LaDonna Harris. “I’m so proud to be here and so proud to be a part of this. If I can help in any way to pass the message along to the children, to understand that where they come from, they are warriors and nothing less,” Johnny shared at the screening. Armie Hammer: 'Lone Ranger' Paris Premeire! Johnny Depp & Armie Hammer: 'Lone Ranger' UK Premiere! Johnny Depp & Armie Hammer: 'Lone Ranger' Berlin Premiere! 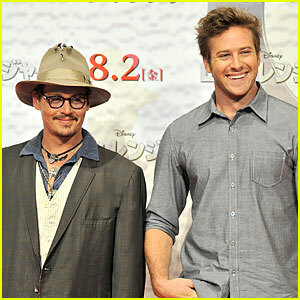 Johnny Depp & Armie Hammer: 'Lone Ranger' Japan Premiere! Johnny Depp: In Talks For 'Alice in Wonderland' Sequel! 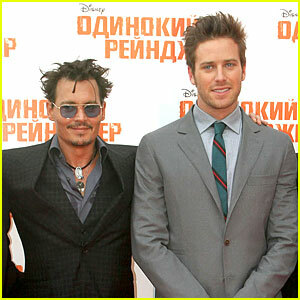 Johnny Depp & Armie Hammer: 'Lone Ranger' Moscow Premiere! Julianne Hough & Krysten Ritter: 'Lone Ranger' Premiere! 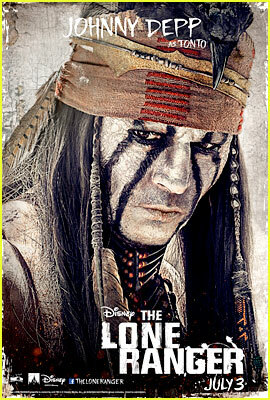 Johnny Depp: 'Lone Ranger' Disneyland Premiere! Armie Hammer: 'Lone Ranger' Featurette - Exclusive Video! 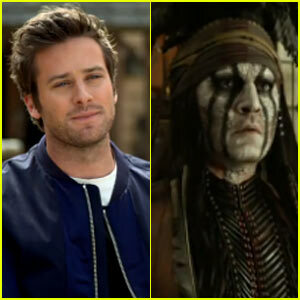 Armie Hammer: New 'Lone Ranger' Trailer! Armie Hammer: 'Lone Ranger' Japan Press Conference!